The Basque Language and Culture Lecturer from the Etxepare Institute at the Freie University in Berlin has organized an entire week, “Euskal Etxea,” April 3-9 with a complete program of talks, seminars, films and literary activities. Remember that the Etxepare network has lectureships at universities in Constance, Leipzig, Freie in Berlin and Goethe in Frankfurt, as well as the Eduardo Chillida Chair also at the latter. Berlin, Germany. Besides teaching classes on Basque language and culture, the lecturers from the Etxepare Basque Institute around the world also organize various activities with the Basque culture at the axis. 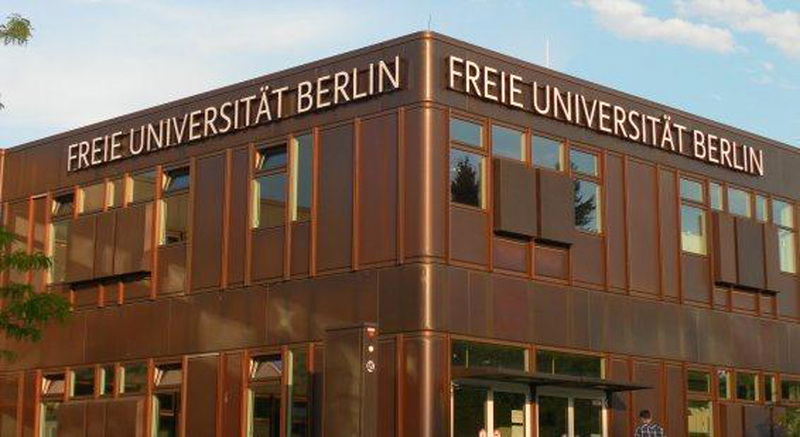 From April 9-13, a Basque Week was organized at the Free University in Berlin (Freie Universitat Berlin) in hopes, among others, to bring more visibility of the lectureship. Along with other activities there was a seminar on Basque linguistics by Oroitz Jauregi who also will give a talk on April 12th in Frankfurt, according to a note from the Institute. The program in Berlin also includes intensive Basque courses at the university. It also will include to know the lectureship better, as well as the Basque language through cultural activities. Master classes, colloquiums, a seminar, film screenings and documentaries as well as literature workshops. Among these activities was the seminar on Basque linguistics by Oroitz Jaruegi, along with Mikel Santesteban, also organized in collaboration with the lecturer at the Goethe University in Frankfurt, with the expert also giving a talk there on April 12th. In his talk entitled, “Basque Sounds- Lautsystem des Baskischen,” Jauregi will talk about the phonetic and phonological characteristics of Basque as well as the language’s rhythm. Besides students from the university’s phonetics department, the event is also aimed at anyone interested in linguistics. The talk will begin the summer semester at the lectureship in Frankfurt.